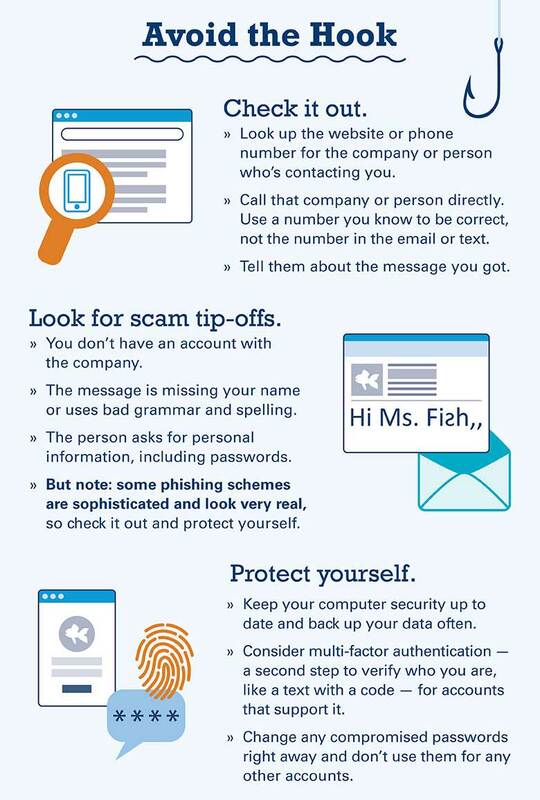 It’s important to know how to quickly identify a phishing attempt because cybercriminals can take advantage of our trust and our desire to be helpful by asking for your personal data through online messages, texts and phone calls. 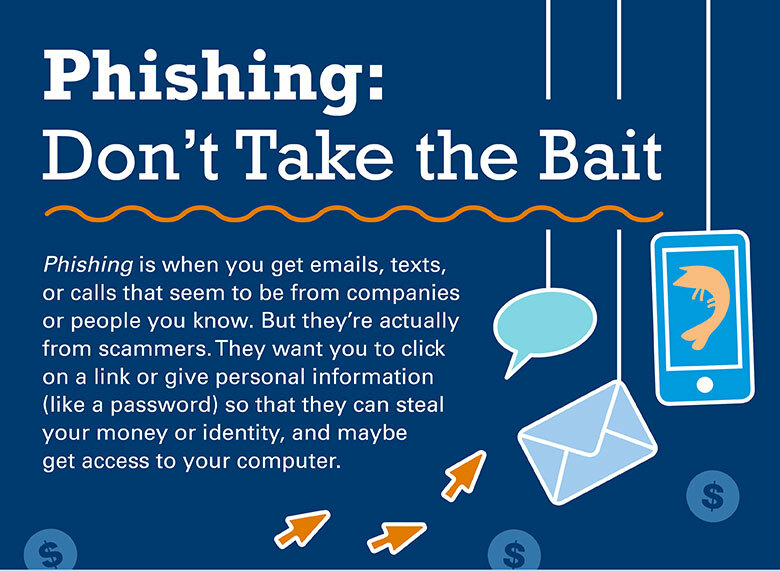 Phishing for personal data and online access can take many forms. They can look like emails that look like they are sent from a familiar company and texts from people who pretend to be a friend. 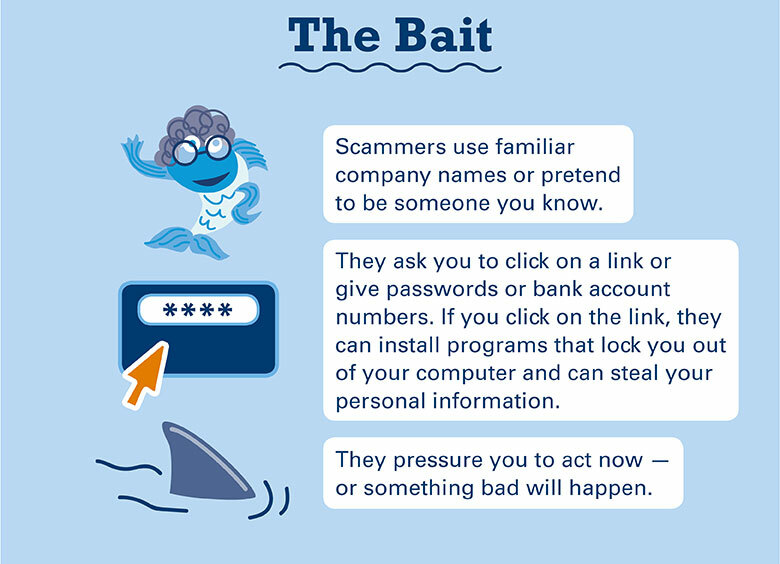 These information requests are usually described as urgent or immediate, but you can use these tips to slow down and avoid the phishing “hook. 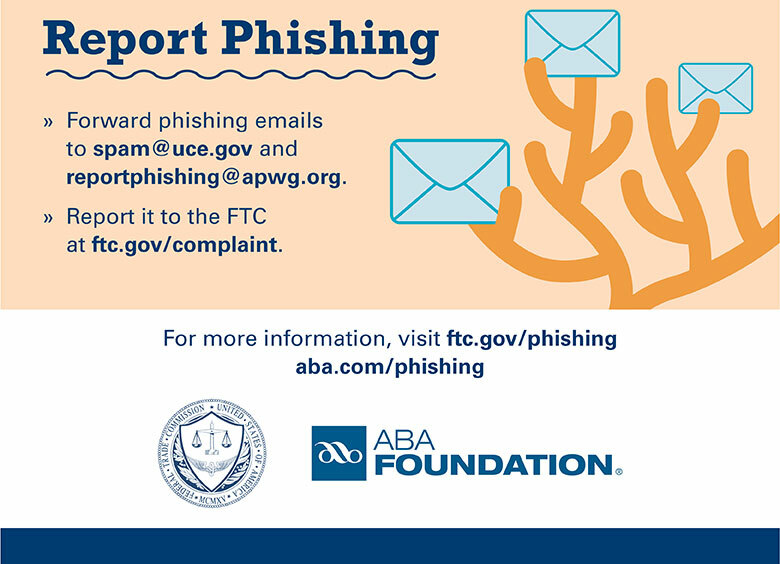 If you feel you’ve been the target of a phishing attempt, be sure to report the attempt‡ to help protect yourself and others from scammers and information thieves.